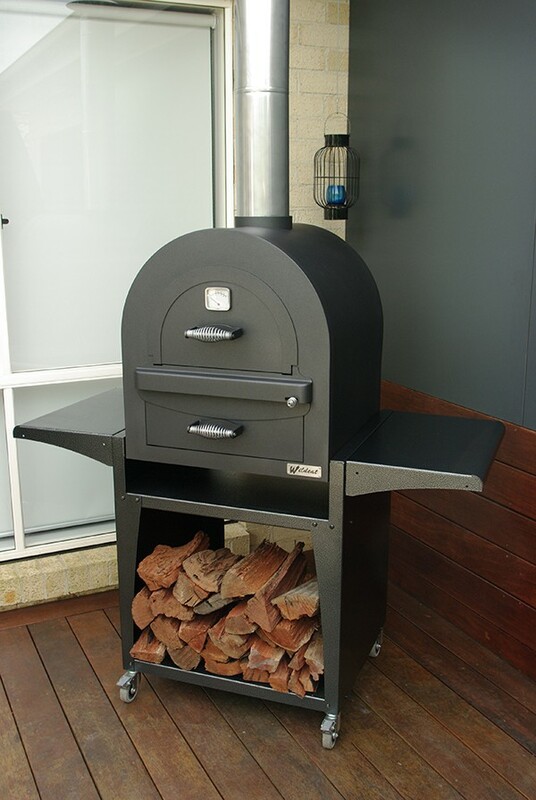 Home Wood Fired Pizza Oven 6000 Series Are Wildcat Ovens Permanent or Mobile? 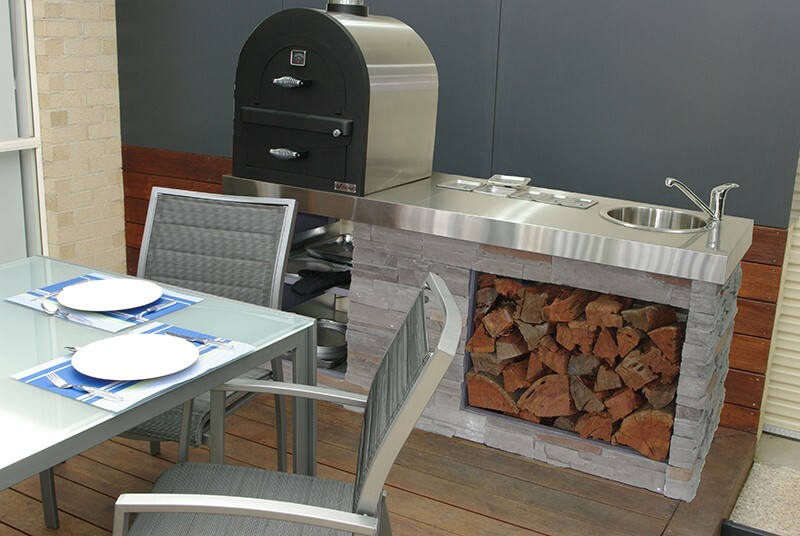 The Wildcat Wood Fired Ovens are a great addition to any Outdoor area, whether you’re installing it onto a permanent bench top or you want the versatility of moving the Oven on the trolley. If you want the versatility of moving your Wildcat oven then our Trolley is perfect for you. It is made from quality steel and has lockable castors for you to wheel into place for cooking and wheel away for storage. The side tables simply clip off and can be stored beneath the oven. If you remove the flue you can see it comes apart in three pieces, the 2 lengths of flue and the cowl. The 2 flue parts store perfectly inside the oven and by removing the firebox door pins you can store the cowl in the firebox. Now you can place the cover over the whole oven and leave it until you want to cook again or if you are going on an extended holiday it will keep it clean and protected until you return.